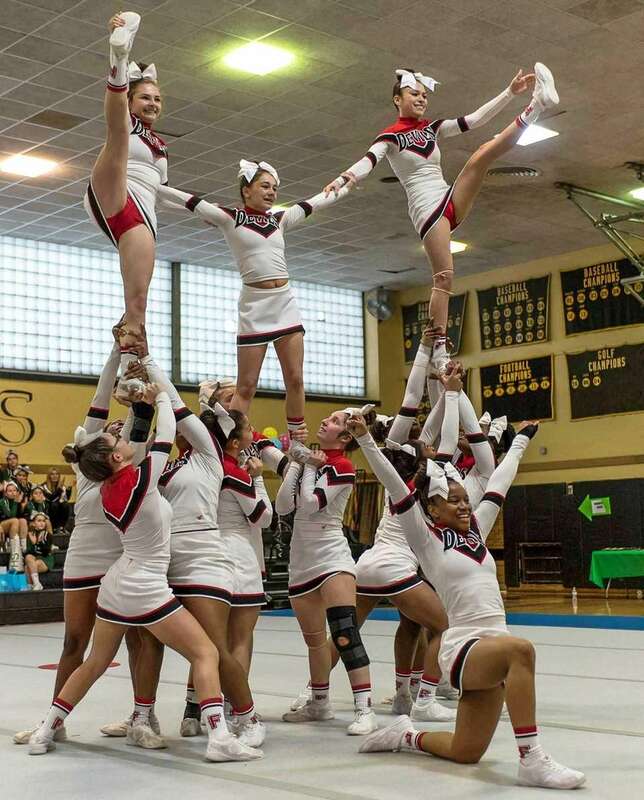 Nassau's top cheerleading teams competed in the championship meet on Sunday, Feb. 21, 2016 at Wantagh. Valley Stream North poses after winning the Nassau cheerleading co-ed championship at Wantagh on Sunday, Feb. 21, 2016. 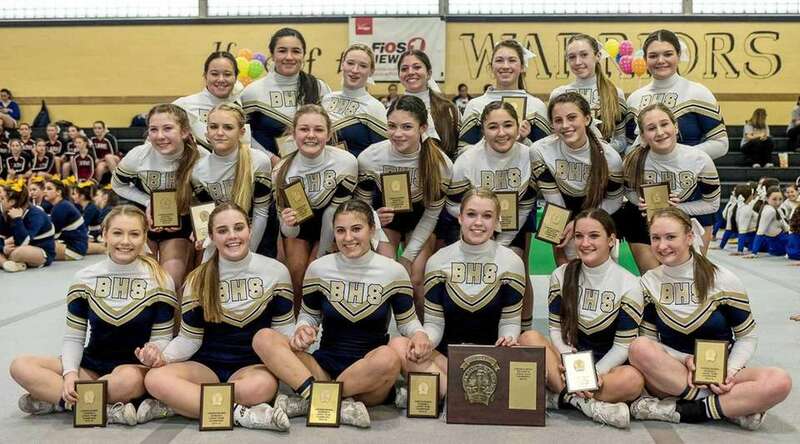 Bethpage poses after winning the Nassau Division II Large School cheerleading championship at Wantagh on Sunday, Feb. 21, 2016. 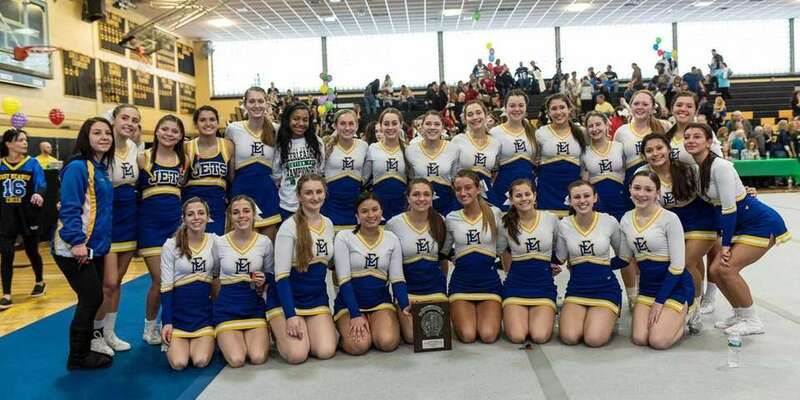 East Meadow poses after taking second place in the Nassau Division I Large School cheerleading championship at Wantagh on Sunday, Feb. 21, 2016. 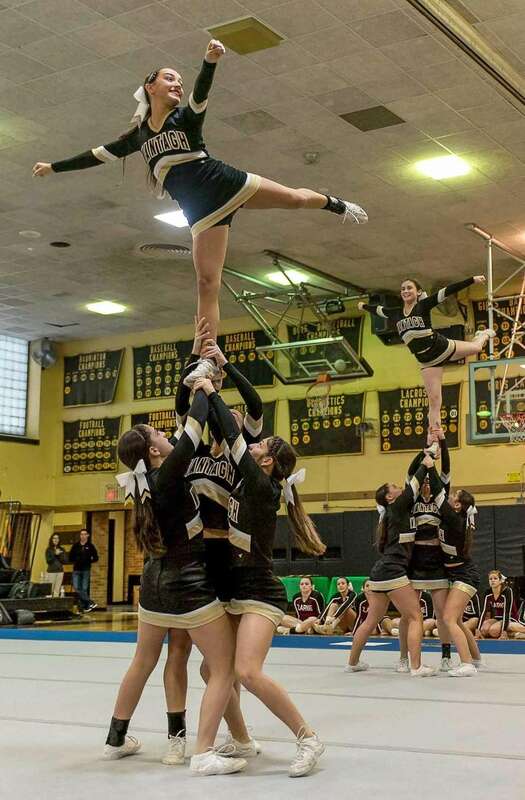 Wantagh performs during the Nassau cheerleading championships at Wantagh on Sunday, Feb. 21, 2016. 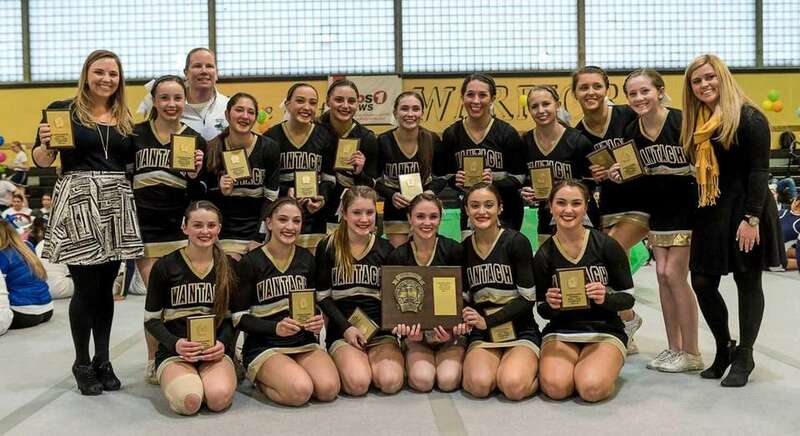 Wantagh poses after winning the Nassau cheerleading championships at Wantagh on Sunday, Feb. 21, 2016. 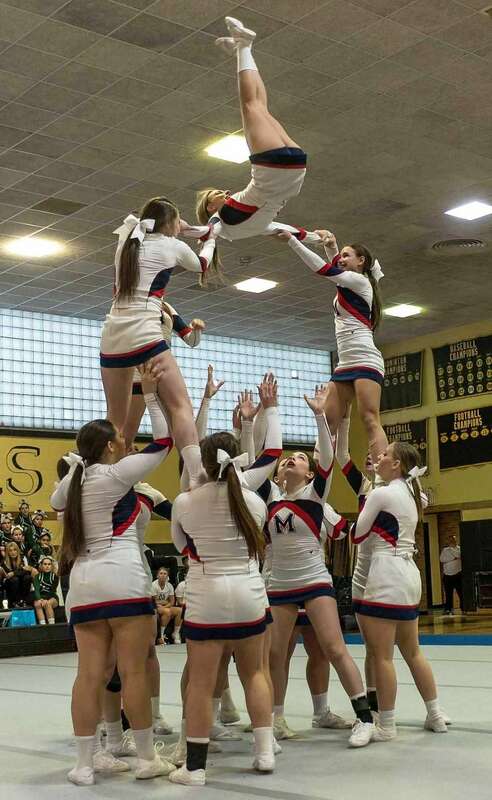 MacArthur performs during the Nassau cheerleading championships at Wantagh on Sunday, Feb. 21, 2016. 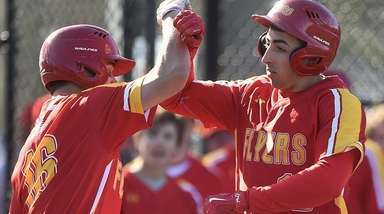 Freeport performs during the Nassau cheerleading championships at Wantagh on Sunday, Feb. 21, 2016. 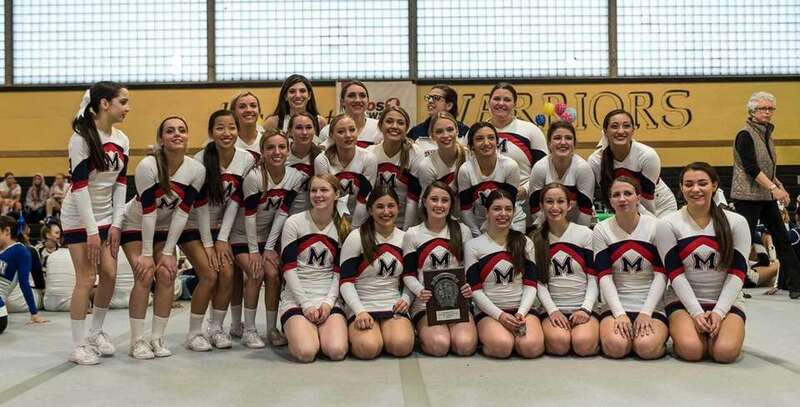 MacArthur poses after the Nassau cheerleading championships at Wantagh on Sunday, Feb. 21, 2016.